With a background in sales & marketing, plus a University of Arizona Eller Business degree, Nicole, a wife and mother of 2, entered into real estate in 2009 and has never looked back! She has quickly risen to the ranks of top-producer within the local Tucson area as well as the nation. Nicole has been featured in Tucson Parent Magazine, Tucson Lifestyle Magazine, Real Estate Executive Magazine and her team at The Vanguard Group: Powered By EXP Realty has consistently been the top team for sales production since 2012. Nicole is passionate about selling real estate and working with buyers and sellers along with sharing the love and energy she has with her team - mentoring our agents and providing excellent service to her clients. Roxie Blumentritt was born and raised in Arizona, spending most of her childhood in Nogales before moving to Tucson in 2002. She briefly moved to Georgia after college, but moved back to Tucson as the desert is her true home. Roxie loves animals, reading, staying active, and spending time with family. She spent the last ten years in the auto industry; which set her up with amazing customer care skills and a strong work ethic that has translated over to her role at The Vanguard Group: Powered by EXP Realty. She entered the real estate world eager to learn and grow in this industry and provide an excellent customer experience - she has done just that time and time again. Born and raised in the Chicago area, Kristina’s interest in real estate developed at a young age. As a child, she loved to peruse the local real estate listings, clip out her favorite homes, and post them to the family refrigerator with hopes of relocating to her dream home. Kristina has served in supportive roles for top producing agents in Chicago and Austin and is thrilled to add Tucson to that list!  Her main goal is to provide both sellers and buyers with the personal customer service that The Vanguard Group: Powered by EXP Realty clients have come to expect and appreciate. Kristina is a huge animal lover and enjoys spending time hiking and romping with her dogs Sammy and Mr.Chow, while giving her cat Olive the quality time that she (at times) violently demands. She also delights in shaking her tail feather to some good music, whether it’s in her kitchen or at a live show. Jessica Hernandez was born and raised in Tucson, Arizona. Jessica spent 11 years in the banking industry with a background in sales and customer service. She has a passion for meeting new people and helping them find their new place to call home in Tucson. Her business is built on dedication, communication, determination, and trust; embodying the ability to cater and adapt to all her clients’ real estate needs. She always strives to go above and beyond, creating many great relationships and experiences. In her free time, she loves spending quality time with her husband and two beautiful boys. They love vacationing, playing basketball, and are huge U of A wildcat fans. Rest assured that with Jessica, you can count on sterling service! Cassidy was born and raised in New Tripoli, PA and moved to Tucson, AZ in the summer of 2006. She launched into the real estate business in 2016 and hasn’t stopped growing. She is constantly learning and studying the field to provide her clients with the best experience possible. With her passion to make people happy, she applies that to all of her clients whether it be finding that perfect home or negotiating on their behalf. Cassidy enjoys problem solving and will always go the extra mile for her clients. In her free time, Cassidy enjoys spending time with her husband and three fur-babies. Cooking and staying active are some of Cassidy’s favorite activities.